It was a big deal when Google released Android Device Manager last year. Finally, Android owners had a native solution for finding a lost or misplaced phone. One key feature was missing, however: the ability to leave a message for a Good Samaritan looking to return a found device. The latest update to Android Device Manager, available today, fixes that oversight. Now, in the “Lock” section of the web interface and app, you have the option to add a recovery message and return phone number. If someone finds your lost, locked device, they’ll see a bright green “Call Owner” button on the lock screen that connects them directly to the number you’ve chosen. If you own an Android phone, open Android Device Manager within Google Settings and make sure you enable the option to "Allow remote lock and erase." 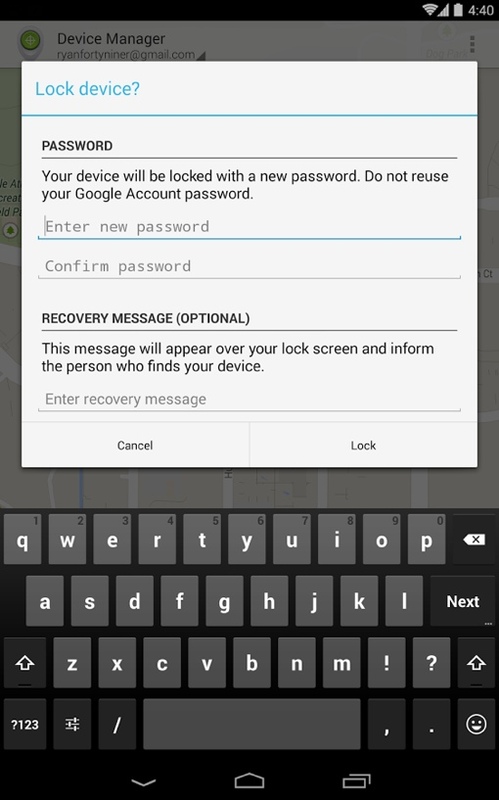 If your device is lost, you can visit the Device Manager webpage to find and remotely lock your phone. You might also want to check out these other premium options for protecting and finding a lost device. 8120241464 jo mobile phone me sim thi vahi Nomber dal diya hu.